I must admit, I am completely mesmerized by this series. Absolutely, captivated. I tried to fool myself into thinking that since these were considered “Young Adult” (and I am… not so much…), that perhaps I might not find myself enjoying these as much, but I was wrong – dead wrong! There may not be “adult content” per se, but the passion, intensity and emotional connections have ensnared me to no end. What I love is that there are many characters, all very vital to the progression of the tale, but each one is special, and highly likable. The story is completely relatable (setting aside the fact that these characters are all born vampires or half vampires, and have powers, and evil enemies to contend with). The students run through the gamut of high school “clique” issues, that range from wealth & race (being Royal Moroi, a “commoner” Moroi, or a Dhampir, the future Guardians of the Moroi race), to social over achievers, and sullen outcasts. The story focuses on two seventeen year old high school girls who have been best friends all of their lives. Lissa is a Royal Moroi Princess, who is under constant protection by her best friend Rose (a Dhampir, training to be a Guardian and hoping to be assigned to guard Lissa once they graduate). They are “bonded” in a way that allows Rose to constantly know what Lissa’s feeling, and she can even enter and read Lissa’s mind, and help ease her fears. Rose is concerned that Lissa’s occasional depression stem from using her magical abilities. While all Moroi have certain powers, Lissa’s are apparently different and mostly undocumented, from those of her peers. A bond such as theirs is also a rare ability between Moroi and Guardian. Rose and Lissa escaped their highly guarded Vampire school, due to Rose’s suspicions that Lissa was not safe there. They lived in hiding for two years amongst the regular human population, but were tracked down by the “Guardians” of the school, and brought back to finish their education. 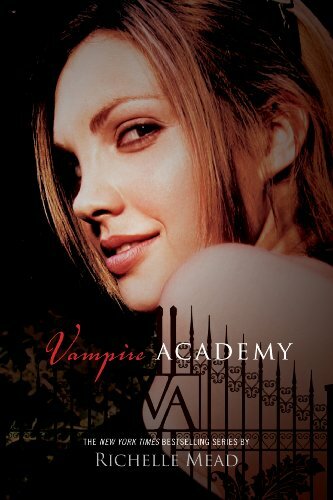 Rose is assigned extra “guardian” training before and after school to help her catch up with all that she has missed in two years, and 24 year old Dimitri (a Guardian warrior that has successfully slain and aided in the war against the many evil Strigoi vampires) is assigned as her trainer. Rose and Dimitri are like fire and ice. Rose is a sassy, tough and outgoing. She has a sarcastic wit, is gorgeous and usually the center of all male attention (not always good). She has a laisser faire attitude with an apparent disregard to the trouble her good lucks and flirtatious side might bring her. She simply bulldozes her way through authorities and anyone that might restrict her from what she wants. She has a physical strength and fearlessness, along with an inner strength, despite the vulnerability that she tries to hide. Her whole purpose in life, is to protect the Moroi (and specifically, her best friend, Lissa). Dimitri is a zen-like warrior. No nonsense, complete self control, and unfazed in the petty dealings of high school drama. Publicly, he carries himself as a teacher/mentor should, no matter whether he is training Rose, or whether he is guarding the students during school activities. Inside however, he has a sadness and personal torment that he fights every moment to control. He does this for his sense of duty. His whole purpose in life, too, is to protect the Moroi. Dimitri looked surprised, like he didn’t want me to know that, like I’d uncovered some secret part of him. I’d been thinking he was some aloof, antisocial tough guy, but maybe he kept himself apart from other people so he wouldn’t get hurt if he lost them. Ivan’s death had clearly left a permanent mark. I wondered if Dimitri was lonely. Dimitri frequently finds Rose in compromising social situations, and despite being exasperated with her lack of self preservation, finds that she has much true potential and senses that she has a deeper more apprehensive side to her that she carefully guards. She is wiser and older in spirit than her actual age suggests. They also discover that they have a mutual attraction to one another, despite the multiple taboos that would accompany such a relationship. The commonalities they share, the respect for each other’s abililities and the constant close contact and interaction cause an eventual bonding that cannot be denied (despite being well hidden). “I know that. Of course that’s what you have to do.” The black sparkles were dancing in front of my eyes again. I was fading out. Danger lurks from all angles in this book, and you will find yourself pleasantly surprised at how neatly this tale comes together. This series is extremely well written, believable, and highly captivating. I couldn’t put it down. This book may be considered “young adult” but there is nothing childish about it!